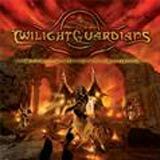 The Twilight Guardians charge the fields of power metal from my native Finland, which should give you a good indication on the sound the guys have. Hefty doses of Stratovariusesque speed, Helloween melodies and sing-along choruses fly around without much restrain. The album opening pair “Weak Generation-The Next Call” pounds off with some speedy and very melodic power metal, that drops off to the most common trap for this genre nowadays – technically everything from the quick solos to the tight rhythm section is very good, but it just doesn’t possess that special something that takes the songs for another run. Singer Vesa Virtanen has a very solid voice for this genre – a bit like a darker and a bit lower Timo Kotipelto - and even throws in some growls here and there. His delivery is quite flawless but many songs just don’t have that emotion and conviction on the singing side. But this is a thing that can develop greatly with time, so this is by no means a doomed cause. The Freedom Call-ish "Angels” has some damn catchy melodies and a driving chorus, that picks up the albums pace nicely. Wasteland continues this winning streak with a very infectious chorus and nice Hammerfallesque choir-chants that are sure to kill in live shows. “Time Has Come” is another fast but generic borefest that goes by with out enough hooks to hook a worm let alone listeners. “Father’s Cave” then again is a very stylish, heavy ballad-type song that alternates nicely between heavy chugging and the piano-driven verses. An excellently grooving cover of Judas Priest’s “Rocka Rolla” follows and keeps the pace tight and in a rocking mood. The wonderfully dark and heavy “The Wraith” works well as a very moody and even bit symphonic piece with the keyboards and dark atmospheres. “Hellward,” a 7-minute progfest, closes the album in OK mode. The song isn’t half bad, but it doesn’t have enough good stuff to keep it rolling well enough to justify all seven minutes of the duration. The production is very good and doesn’t leave anything for me to be desired. Or truth be told, a little more bass to but some bounce in there could have done the trick, but that’s just my personal viewpoint. The band is no doubt very skilled and has a lot of potential. Like 90 percent of today’s metal bands playing material that leans towards the power-genre, the lack of originality has not been replaced with enough memorability, something that Edguy for example has mastered beautifully. Wasteland is better than your average power album, but not a masterpiece.